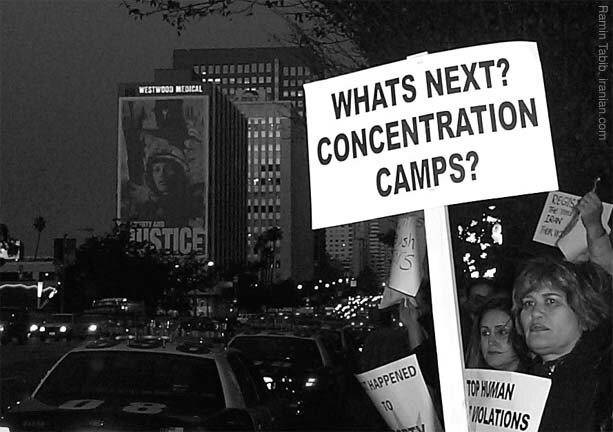 Concentration Death Camps for American's? 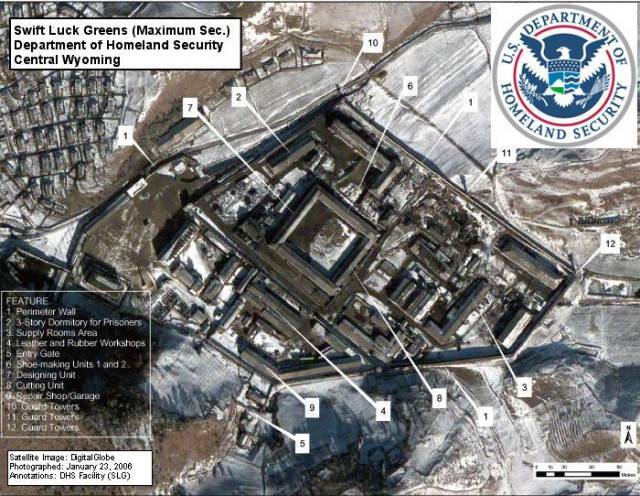 There over 800 prison camps in the United States, all fully operational and ready to receive prisoners. They are all staffed and even surrounded by full-time guards, but they are all empty. 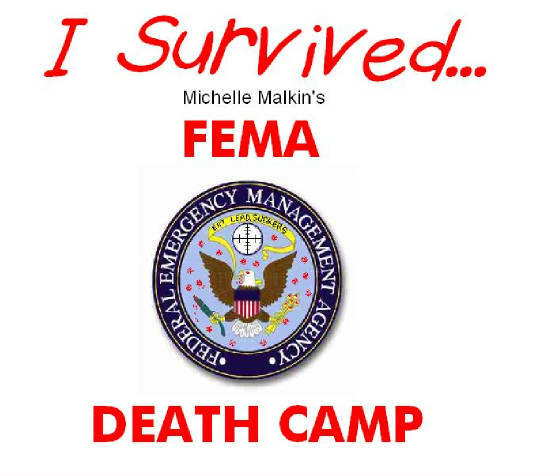 These camps are to be operated by FEMA (Federal Emergency Management Agency) should Martial Law need to be implemented in the United States as a result of financial collapse and resulting social unrest. All it would take is a presidential signature on a proclamation and the attorney general's signature on a warrant to which a list of names is attached. 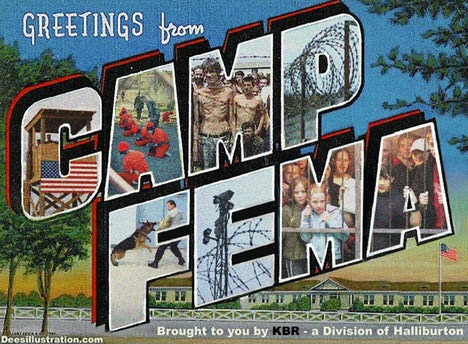 Most of these facilities have recently been built or restored (old military bases or prisons) by KBR, a subsidiary of Vice-President Cheney's Halliburton Corporation. Tyranny is HERE! The grim future foretold in 1984 has become reality. 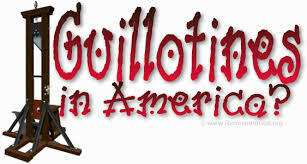 The United States is now recognized globally as one of the most oppressive police states on earth. And it's only getting worse. 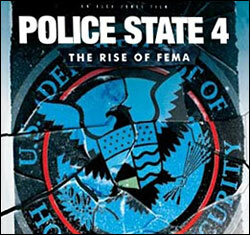 POLICE STATE 4 chronicles the sickening depths to which our republic has fallen. 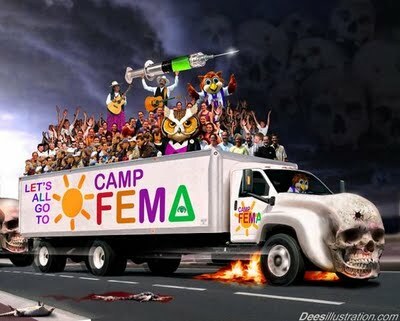 Veteran documentary filmmaker Alex Jones conclusively proves the existence of a secret network of FEMA camps, now being expanded nationwide. The military industrial complex is transforming our once free nation into a giant prison camp. A cashless society control grid, constructed in the name of fighting terrorism, was actually built to enslave the American people. 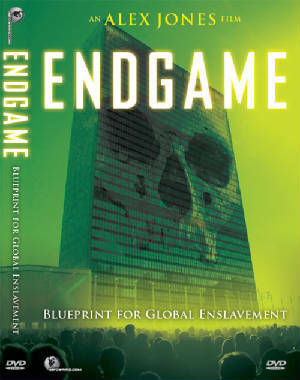 Body scanners, sound cannons, citizen spies, staged terror and cameras on every street corner -- it's only the beginning of the New World Order's hellish plan. 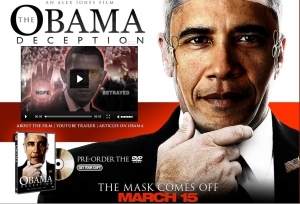 This film exposes how the "Continuity of Government" program has established an all powerful shadow state. 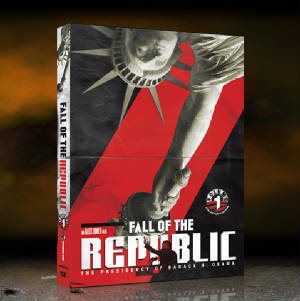 Prepare to enter the secretive world of emergency dictatorship, FEMA camps, and a shredded Constitution. Witness police and military savagely attacking innocent citizens as our own government unleashes false flag operations to justify its oppression. Then watch as Alex Jones takes on corrupt mercenary police and exposes mainstream media brainwashing. 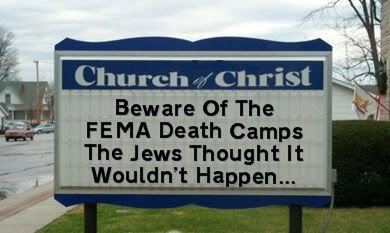 THE POLICE STATE ISN'T COMING, IT'S HERE!